Mark Johnson's father had 'LOVE' tattooed across his left hand, but that didn't stop the beatings. The Johnson children would turn up to school with broken fingers and chipped teeth, but no one ever thought of investigating their home life. Mark just slipped through the cracks, and kept on falling. For years. Constantly in trouble at school, Mark began stealing at the age of seven, was drinking by the age of eight, and took his first hit of heroin aged eleven. A sensitive, intelligent boy, he could never stay on the right path, and though Art College beckoned, he ended up in Portland prison instead. 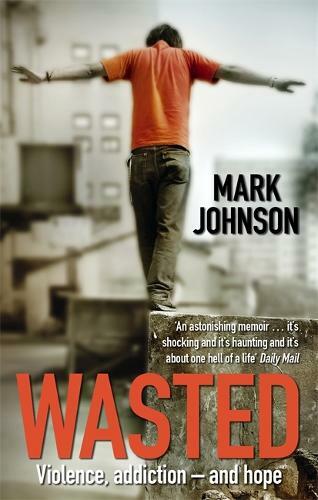 With searing honesty, WASTED documents Mark's descent into the depths of addiction and criminality. Homeless, hooked on heroin and crack, no one - least of all Mark - believed he would survive. And yet - astonishingly - he somehow pulled himself through, and now runs his own thriving tree surgery business, employing and helping other recovering addicts. His story is at once shocking and inspiring - a compelling account of his struggle to save himself, and help save others in the process.